For people like Soros and the globalists; they view the nation-state as a problem, because the nation expresses the will of the people of that nation, and it serves their personal interest, Richard Black, Republican Virginia state Senator, told RT. 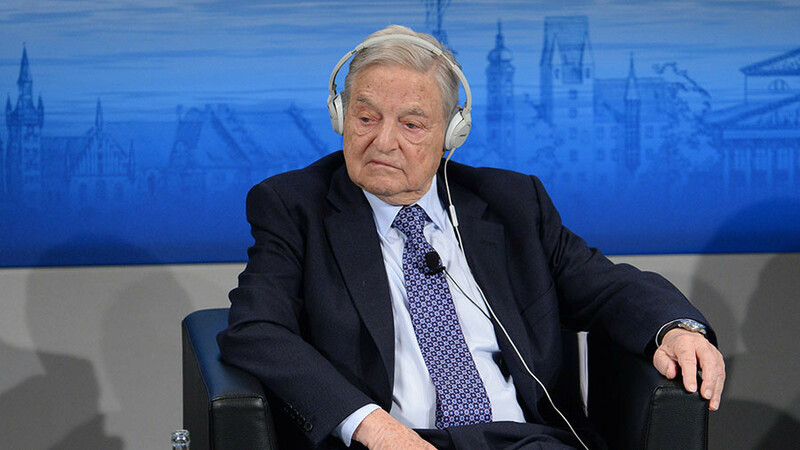 Hungarian Prime Minister Viktor Orban and the Fidesz Party Vice Chairman Gergely Gulyás are locked in a desperate battle with the billionaire financier and philanthropist George Soros, as well as his ideologically driven campaign to allow thousands of migrants to flood into Europe. Leaders like Orban say the strategy will lead to the total collapse of a “Christian Europe,” and argue that Soros is trying to subvert Hungary and the rest of the EU. RT: What reputation does George Soros and the Open Society Foundations have in the world? What role do they play? Richard Black: George Soros is an immensely wealthy billionaire. He has an interest in converting the world. He has a very, very sinister reputation throughout the world, and he is viewed widely as being anti-moral and anti-nationalistic. His belief appears to be that we should have a globalist government that dictates to the people and that nations are a sort of an impediment, because when you have national governments – they express the will of the people. When you have a globalist government it simply exhibits the views of the oligarchs and has very little regard for the people. That is the side he is on – he is with the oligarchs, he is not with the ordinary people. RT: The Hungarian government and the ruling party have been accusing George Soros of interfering in the domestic affairs of Hungary and other nations. Do you think their claims are valid? Do they have a reason to be wary of Soros’ activities? RB: Soros has interfered very dramatically in the affairs of Hungary and a number of eastern European countries. But right now his focus is on Hungary. I would certainly applaud the Hungarian Prime Minister Viktor Orban. Orban is a man who gets things done. When he had illegal immigrants pouring across the border into Hungary, he sent the army out, he put up a wall, and within a month he had stopped immigration from crossing Hungary. I think for people like Soros and the rest of the globalists, they view the nation-state as a problem because the nation expresses the will of the people of that nation and it serves their personal interest. Whereas if you have a one world government than it can simply disregard the interest of the people, and it can basically cater to the very wealthy oligarchs. I would mention that the background of Soros is a very, very poor one. He is known as the man, who was a currency manipulator, who broke the Bank of England – one of the most powerful banks in the world. He disrupted the Malaysian financial stability back in 1997, and he crushed the Bank of Thailand and forced 600,000 temporary workers to give up their homes and leave. So he thinks nothing of ordinary people. He is willing to crush them out; he is willing to destroy their lives and their livelihoods. Prime Minister Orban and also the Fidesz Vice Chairman [Gergely] Gulyás have united and have fought very hard against Soros. Soros is trying to subvert the country of Hungary. He does it through these non-governmental organizations. The NGOs – there are some good ones, but there are very many of them that act as a Fifth Column to undermine the stability and integrity of the countries. Often they work in conjunction with covert intelligence agencies – whether it is the CIA, MI6, French intelligence and so on. They act as sort of an internal intelligence agency that is always there when the time comes to overthrow the government. The prime minister of Hungary recognizes this danger. He is not going to stand for it. RT: Soros had been calling for the EU to apply pressure against conservative governments of Hungary and Poland, while Soros-funded NGOs are heavily criticizing EU countries for not accepting more migrants and asylum seekers. What, in your opinion, does Soros wish to achieve do doing this? RB: The real rebellion against the European Union seems to be emanating from the eastern European countries. Soros is also having great conflict with Poland. Poland is becoming increasingly nationalistic. They are adamantly opposed to immigration. The immigrants flow through Eastern Europe into Germany. RT: How do you think things will develop in Hungary? How will the people react there? RB: There will be an immense amount of money that will be spent against Prime Minister Orban and against his party. But I have watched the Hungarian people throughout their history, and there are no tougher or more independent people than the Hungarians. I have great confidence in the nation of Hungary. I know they will be influenced by the EU that will pressure them and try to compel them through dictatorial means to accept whatever the EU wants, including the reinstitution of the whole corrupt Soros organization there that seeks to undermine the values of the Hungarian people.